Great Development opportunity only a 3 min drive from Sloans Lake! The zoning here is G-MU-5 which allows for duplex, townhomes, row homes and apartment type buildings up to 5 stories high! This area is blowing up with development with no end in sight! Development in the area suggests increasing property values. This property is at the end of the road and is adjacent to the open space of Dry Gulch which features the light rail. Light rail Sheridan Station is only a 3 minute walk from lot! Lots up the street have already been built on and units sold. This lot has advantages over those lots with it's better view, alley road down the side and closer proximity to the Sheridan Station. 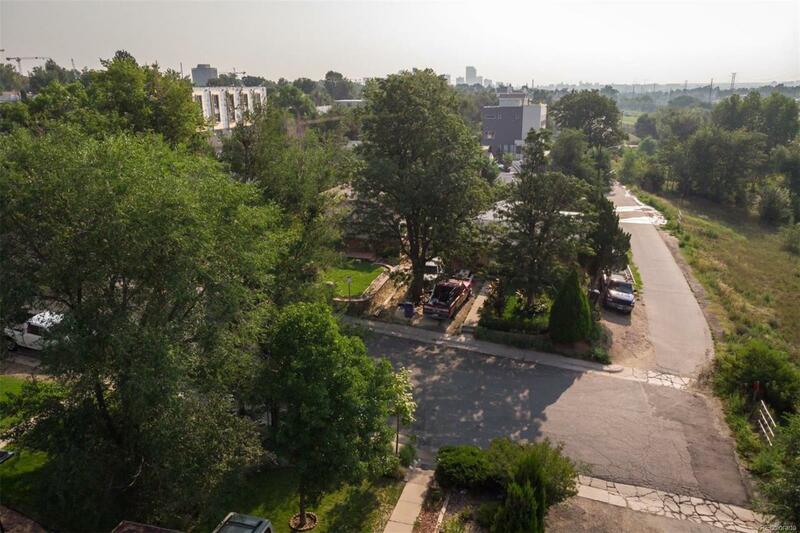 Close to Downtown Denver and Mile High Stadium. View the virtual tour showing the location and projects within a block by copying and pasting link below into your address bar. https://youtu.be/39cDNSxGCJ0 Residential listing shows more pictures of existing structure: #3430698. Offered by Coldwell Banker Residential 44.